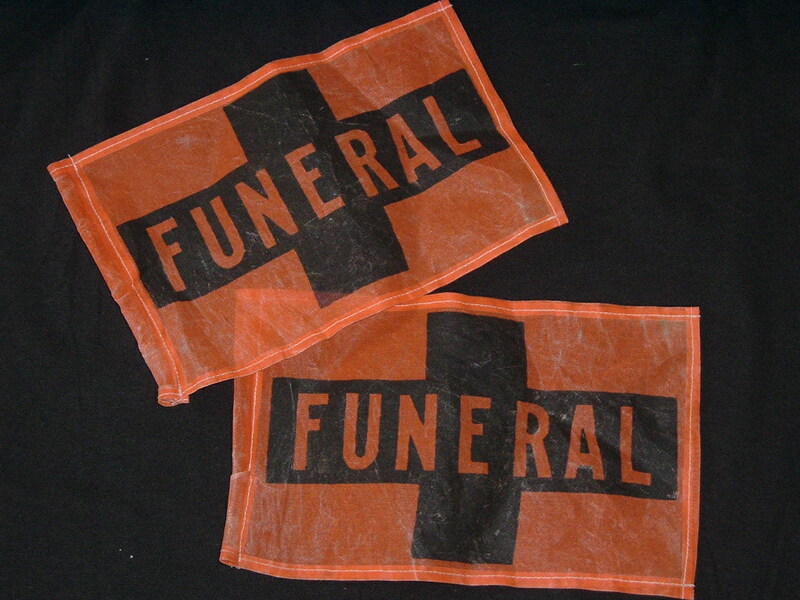 VINTAGE Funeral Flags from a dufunct funeral home in NY. 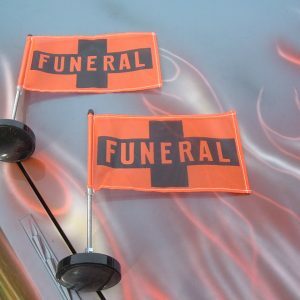 These are flags, without posts or magnets. 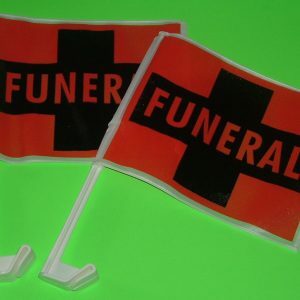 These have been USED for funeral procession and show some wear/creasing. 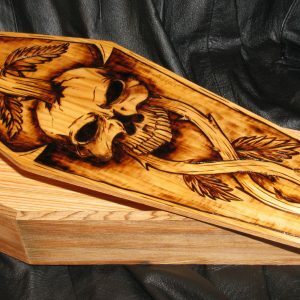 SKULL DESIGN WOODEN CASKET – RAY ANTHONY ORIGINAL!